Home Product Reviews Osmo Osmo Pocket vs. Osmo Mobile 2: Which One Should You Buy? 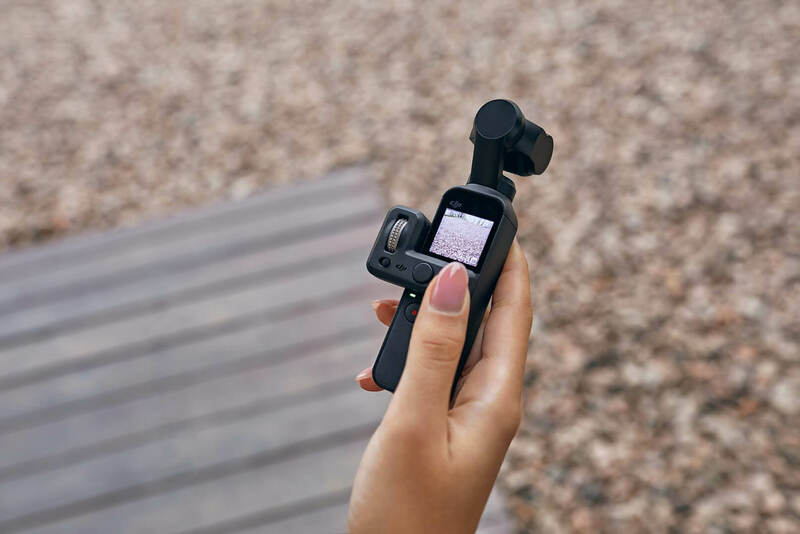 This year, DJI launched both the Osmo Mobile 2 and Osmo Pocket. Both devices give you the ability to transform your everyday moments into cinematic adventures, but there are some big differences. Here, we’ll be comparing the two, looking at the key features of both devices to help you find out which product is most suitable for you. Let’s get started! At just 116g, Osmo Pocket is the clear winner in the weight department. True to its name, Osmo Pocket is incredibly easy to transport; slip it into your pocket and take it along anywhere. The Osmo Mobile 2 is a slightly heavier device at 485g but remains compact and highly portable, thanks to its foldable design. 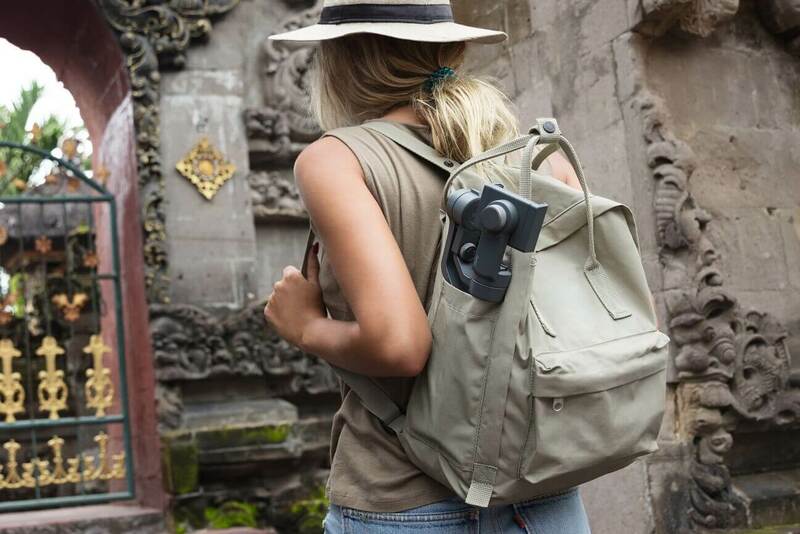 Osmo Pocket is a 3-axis stabilized handheld camera that doesn’t require a smartphone to operate. The device features an integrated 1.08-inch touchscreen that can be used to navigate through different shooting modes. While Osmo Pocket can be operated on its own, its Universal Port allows you to connect to your smartphone as well. In this configuration, your smartphone screen can be used with the DJI Mimo app for expanded creating, editing, and sharing options. The Osmo Mobile 2 is a powerful tool, but it cannot function alone. Users must connect their smartphone and open the DJI GO app to operate it. The Osmo Mobile 2 connects to your smartphone via Bluetooth. While the device can be operated without this connection, many features can’t be used in this configuration. 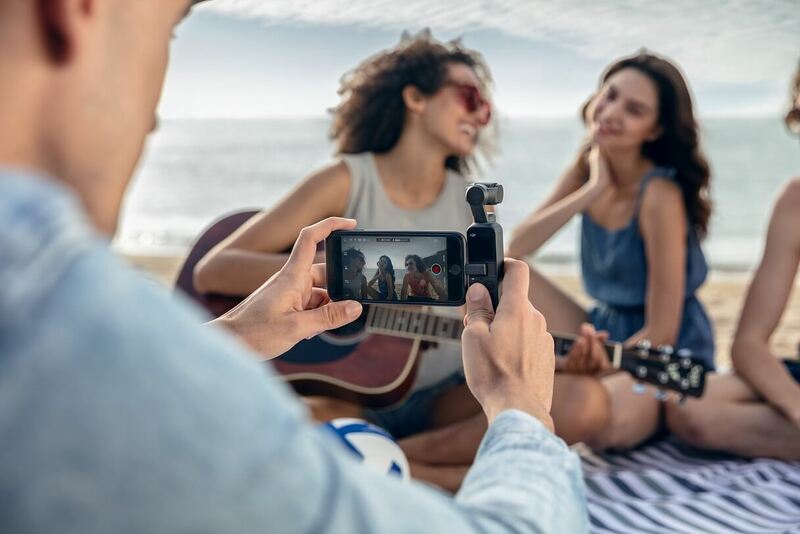 Osmo Pocket, on the other hand, offers full functionality both as a standalone device and when connected to a smartphone. Osmo Pocket can be connected to your phone using Wi-Fi*, Bluetooth, or through the Universal Port. *There is a maximum operating distance of 10 meters when connected to Osmo Pocket with your smartphone through Wi-Fi. 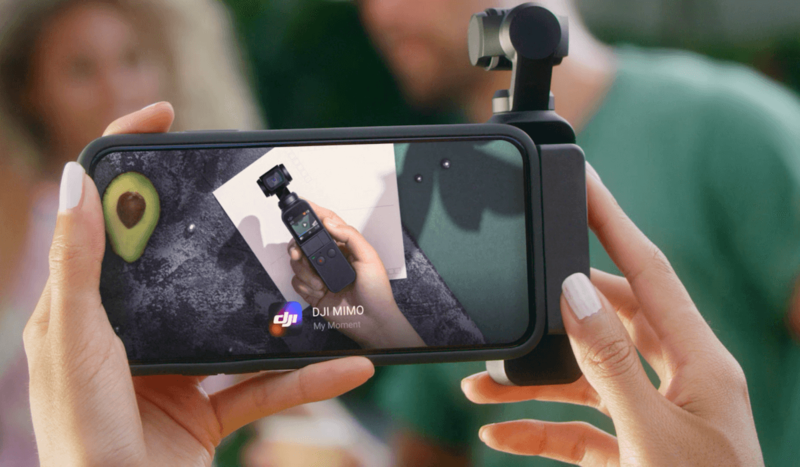 *The DJI Mimo app automatically opens when you connect Osmo Pocket to your smartphone via the Universal Port. Osmo Pocket can be turned on or off in seconds with the power button, and the device doesn’t need to be balanced before use. 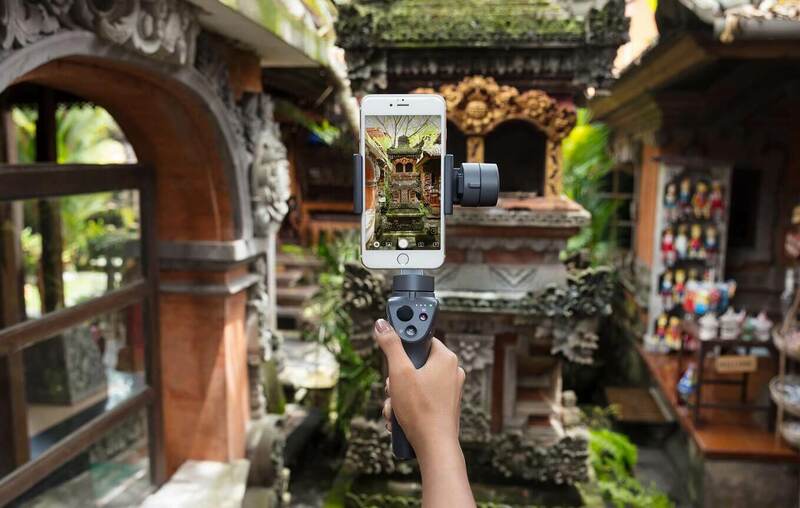 The DJI Mimo app automatically opens when you connect Osmo Pocket to your smartphone via the Universal Port. Osmo Mobile 2 requires you to connect to a smartphone via Bluetooth, and the device needs to be balanced before you can use it. Despite these additional steps, the device is still incredibly easy to set up. Both devices have a 3-axis mechanical gimbal, which produces shake-free footage in any situation. 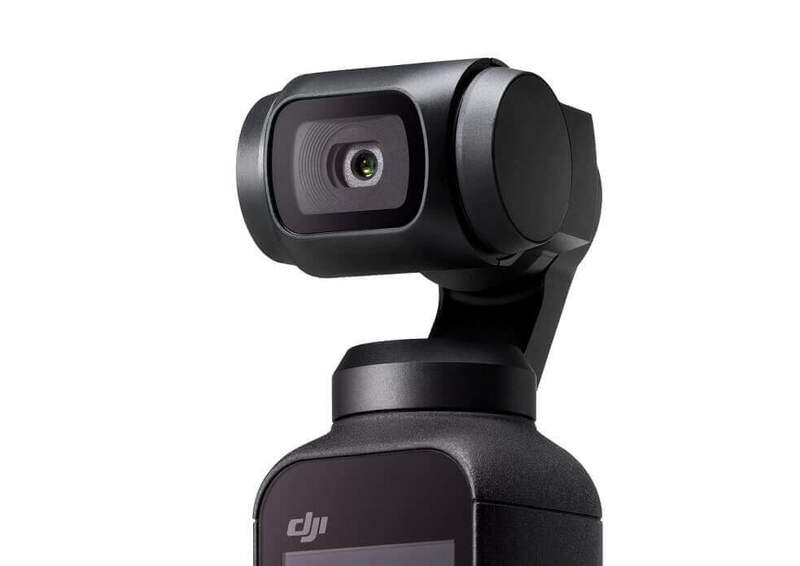 Osmo Pocket is officially DJI’s smallest handheld 3-axis gimbal, and features sophisticated algorithms that ensure the gimbal movement is exceptionally smooth. 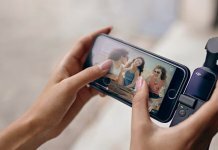 The image quality on Osmo Mobile 2 varies depending on the type of smartphone you use. 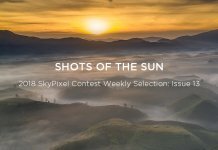 However, this also gives you the freedom to experiment with different smartphone models, taking advantage of specific imaging capabilities. In contrast, Osmo Pocket has a dedicated camera that snaps photos in stunning high-definition detail. Don’t let the small size fool you; it comes with a 1/2.3-inch sensor, 80° wide-angle lens, and f/2.0 aperture. This allows Osmo Pocket to shoot 4K/60fps ultra-high-definition video at 100 Mbps and 12 MP photos. A fully charged Osmo Pocket can record a 140-minute video*. In addition to this, with a one-hour fast charge, the battery can be boosted to a 90% charge. The Osmo Mobile 2 truly excels in this category, with up to 15 hours of battery life! *Only when you use Osmo Pocket as a standalone device. For a more immersive viewing experience, ActiveTrack automatically recognizes and tracks your subject of choice. Luckily, both devices have this advanced feature available. Whether you are trying to capture slick city scenes or a spectacular sunset, both the Osmo Mobile 2 and Osmo Pocket can record beautiful time-lapse videos. 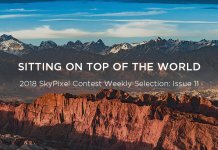 For bigger shots that reveal your surroundings, both devices are capable of capturing a 3×3 panorama, which stitches nine images together to create one epic shot. 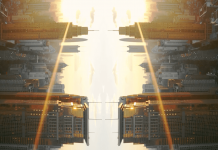 The Osmo Mobile 2 and Osmo Pocket can also both stitch together four images to create a stunning 180° panorama image. 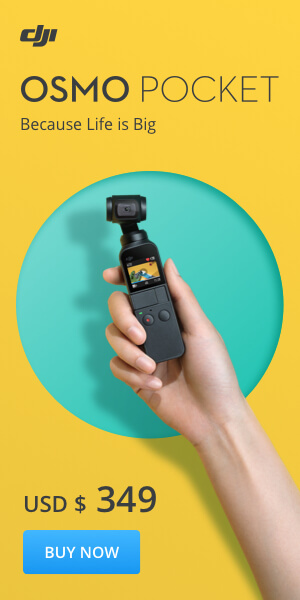 For great footage in low-light environments, both devices have a 3-axis gimbal that eliminates any unwanted movement, keeping your shots steady without the use of a tripod. Osmo Pocket really packs a punch with FPV mode, allowing you to record your greatest adventures from your own unique perspective. Instead of using a locked viewing axis, FPV enables the camera to follow your every tilt and lean, resulting in incredibly dynamic footage. 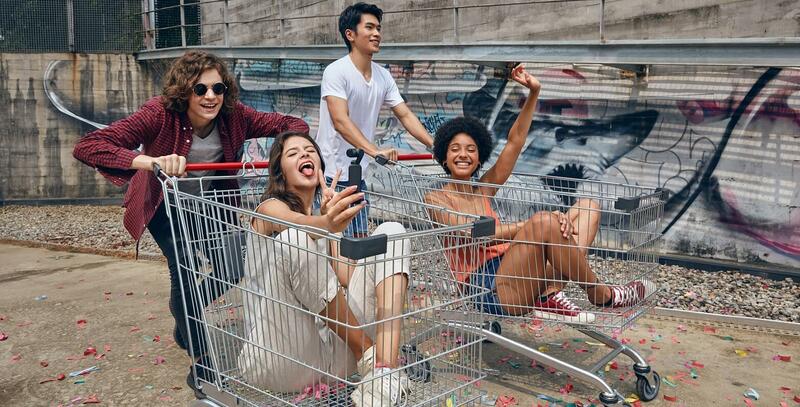 Of course, the Osmo Mobile 2 allows you to take selfies, but Osmo Pocket takes this feature one step further, letting you capture ultra-wide-angle images to capture more of your surroundings. Osmo Pocket also features FaceTrack, which automatically detects your face when you are taking a selfie, keeping you in the spotlight of your adventure. This mode can also be used to track and follow your subjects with incredible accuracy. 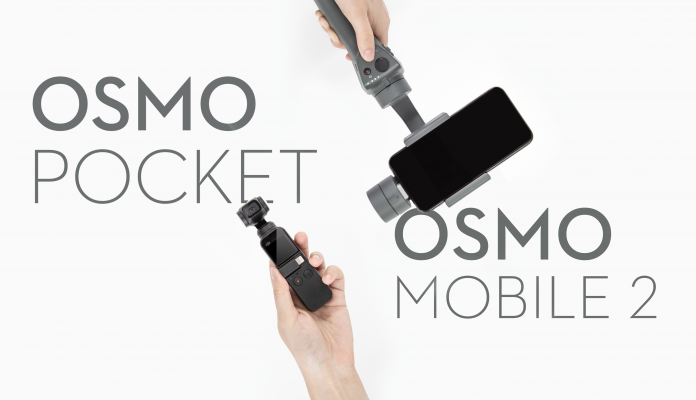 Osmo Pocket has a collection of perfectly-suited accessories to help elevate your footage. 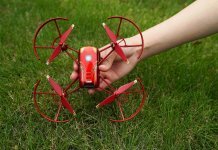 These include a Wireless Module, which provides Bluetooth, Wi-Fi connectivity, and transmission so you can control the gimbal wirelessly using your smartphone. Additional accessories will be released soon, including a waterproof case that allows you to shoot footage at a maximum depth of 60 meters! 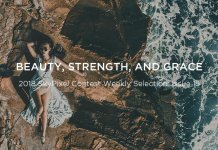 My Story offers a unique editing suite that contains preset editing templates. This auto-editing function allows you to quickly create short videos that you can share on your social media channels. 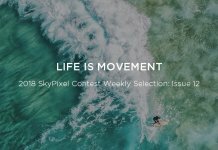 Story mode is another editing option that offers a variety of stylistic editing presets that help bring your creative projects alive. 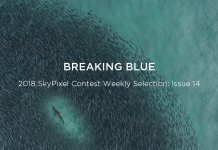 Designed for beginners and experienced users, this mode features expertly-designed templates and soundtracks to elevate your footage. The Osmo Mobile 2 is an excellent choice for capturing smooth, stable footage with a smartphone. The device was built to film on the go, turning any situation into a moment worth capturing. 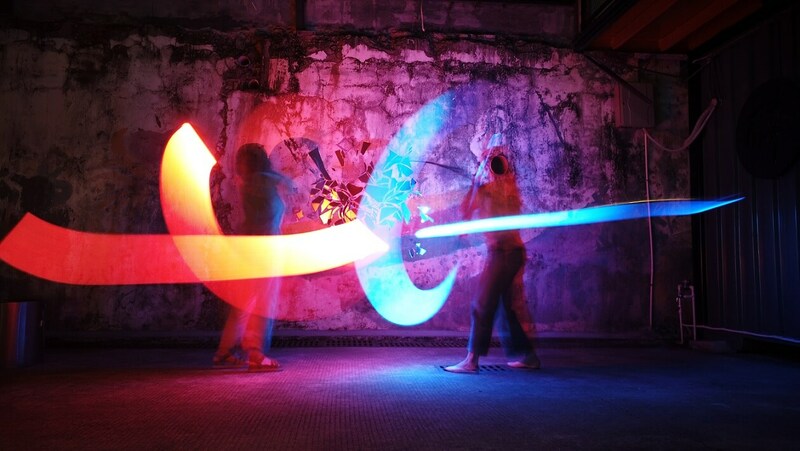 Thanks to creative shooting modes like ActiveTrack and Hyperlapse, you can effortlessly create epic scenes. The Osmo Mobile 2 also features an impressive, long-lasting battery, empowering you to take your story even further. For photographers, videographers, vloggers, or anyone interested in creating content with a unique feel and perspective, Osmo Pocket is the undisputed champion. It’s amazingly portable and turns on in seconds to ensure you never miss a shot. It can also be used with a variety of accessories to offer even more creative potential. And with FPV mode, FaceTrack, and ultra-wide-angle selfies, Osmo Pocket opens the door to a world of filmmaking possibilities.